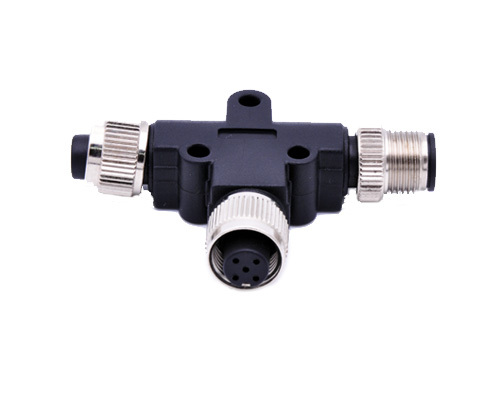 M12 T-Coupler connector is generally suitable for profibus system, devicenet system and play the role of signal transferring. 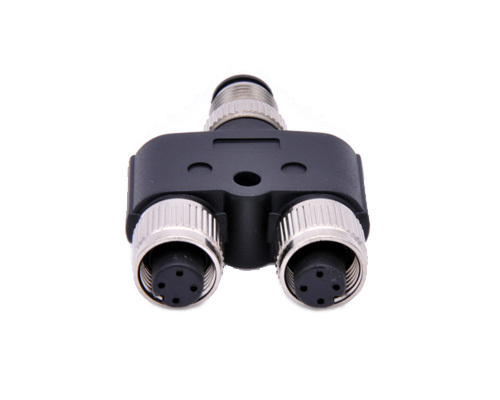 The plug may have 3 pin 4 pos 5 position 6 contacts 8 poles. 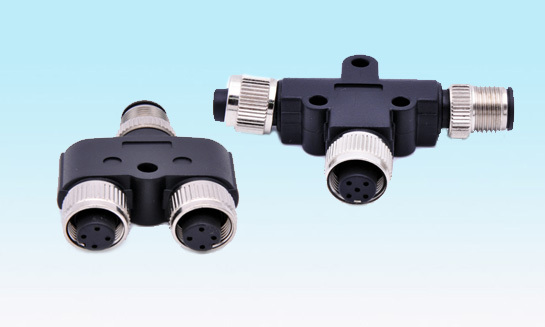 This M12 Y Splitter is composed of 2 pieces of female connector and 1 piece of molding male connector.It can shunt signal and be used in light receiving type of photoelectric sensor and cylindrical type proximity switch.